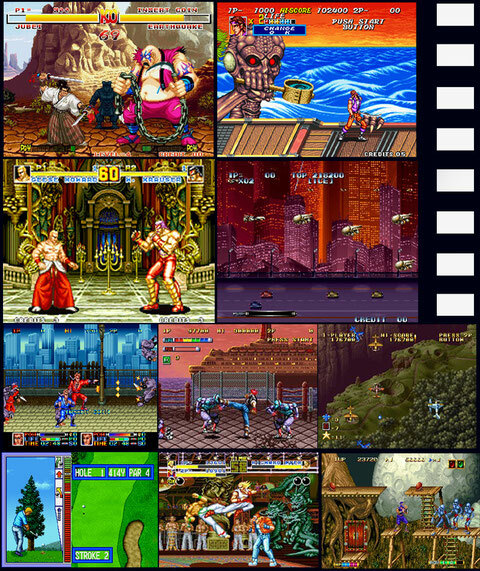 The first games that were released on the Neo Geo were a real blow graphically speaking, not to mention the audio quality, packing incredibly realistic sound effects, high-quality musics and digitized voices... It's simply something that were never seen before, even in arcades. Suffice to say that if the console aim at a niche market -for its price- it's still a dream for millions of players. SNK is going to experience success made more of esteem than commercial regarding the AES. Fortunately, the MVS and its ability to offer multiple games on the same cabinet will make it a great international arcade success, making accessible all those overpriced games. Between 1990 and 1992 are released only a dozen of games, SNK being the only editor - with rare exceptions- to develop on its platform. Indeed, basically SNK didn't allow third-part developers to make games on its machine. Monstrous storage capacity cartridges will overcome another hurdle when hosting the first games exceeding 100 Mb in 1992: Art of Fighting, Fatal Fury 2, and World Heroes 2. A step in quality is reached, as the developers are increasingly better exploiting the system. The legendary Street Fighter II must now face heavyweight rivals in arcades with these great games from the Osaka's firm. 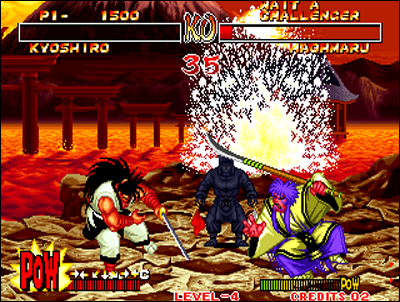 Since 1993, Fatal Fury Special competes easily with Capcom's hit Super Street Fighter II, while Samurai Shodown is released as the first game of an iconic serie on the console -which will mark the spirits- and standing as one the most successful creations of SNK. 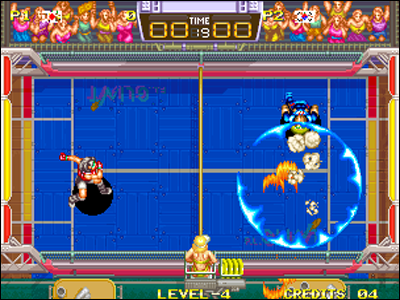 Besides fighting games more or less successful published on the machine, we think, for example to Spinmaster (from Data East), Soccer Brawl, Sengoku 2, Mutation Nation in the Beat them Up category, or the fabulous Viewpoint from Sammy. Below, some pictures showing how were looking the games on the Neo during these first three years: high-end pixel art. 1994 is remembered as a prestigious year, with a bunch of major games for the console. It"s also the launch of the Neo Geo CD, designed to have the Neo Geo games accessible to a wider audience: it would be a half-success (or half-failure). 32-bit system show the tip of their nose, with the 3DO late 1993 and Sega Saturn in 1994. Despite a 3D still clumsy, the public's interest focuses gradually on this new generation of consoles. 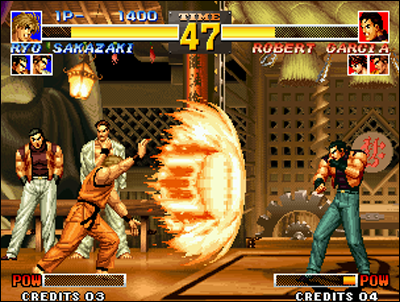 However, the quality of SNK titles gives the publisher still a great success in the arcades, despite this new phenomenon keeping the players at home. 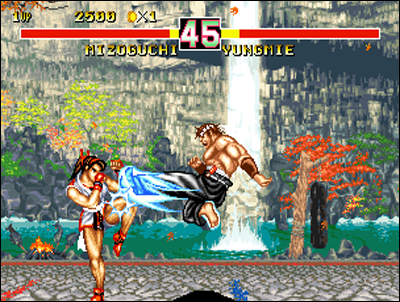 The Neo Geo AES, still relatively confidential due to its overpriced games, continues hosting softs featuring a quality still unmatched by other systems. So, 1994 is a great year for the console, with the arrival of particularly emblematic Versus Fighting games. 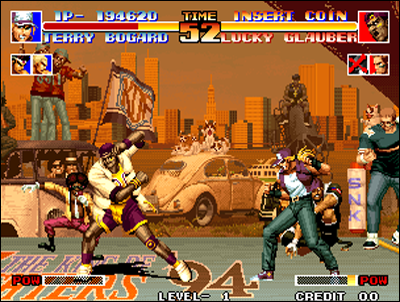 Here comes legendary titles such as Samurai Shodown 2, Art of Fighting 2, Windjammers, Puzzle Bobble, World Heroes 2 Jet... and especially The King of Fighters 94. 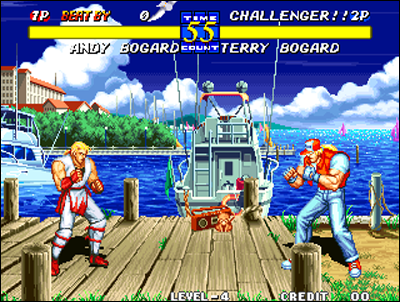 First installment of a legendary fighting game saga, the game involves the protagonists of Fatal Fury and Art of Fighting together, the Southtown series heroes. 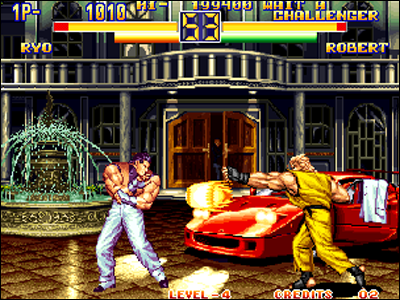 The game is a sort of revolution in the world of fighting games, as it's the first 'crossover' and also the first game featuring teams of three fighters. 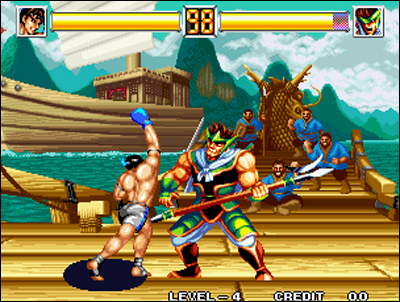 KOF 94, totaling 196 Megabits still is a concentrate of quality and expertise. Teams of three fighters, tons of combos, furies for each fighter, technical depth never seen before... and a brand new graphic style, with characters completely redesigned and the emergence of new heroes as Kyo Kusanagi. 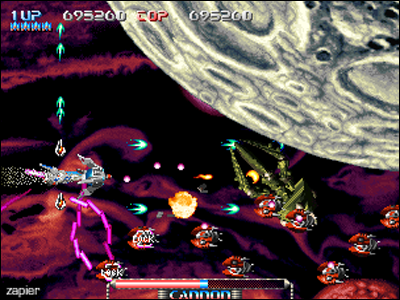 This is a huge success in the arcades, packing a gameplay light years above of everything that have been seen before. 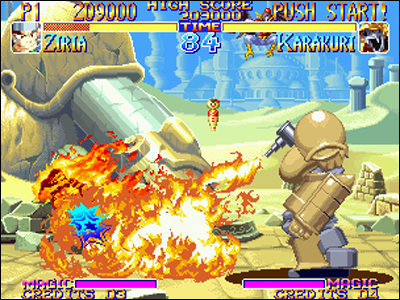 In 1994, the Neo Geo still impresses a lot. The increasing quality of the Neo Geo titles will go crescendo with titles exceeding widely 200n and even 300 megs for some, approaching the theoretical limit of 330 megabits. 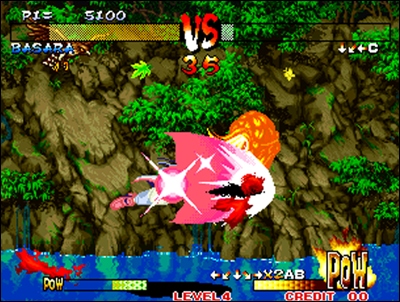 1995 will not contradict this observation, with the nice Kof 95 improving its illustrious ancestor, a Fatal Fury 3 as innovative in the gameplay that beautiful graphically... but also less known but equally mythical games are published, such as Pulstar, an iconic Shoot 'em Up programmed by the creators of the timeless R-Type. It is a real tribute to this game, and Pulstar uses perfectly the resources of the system. There's also World Heroes Perfect, the last episode of an unloved series, the revival of another saga with Samurai Shodown III, or even Super Sidekicks 3 that fulfills the expectations of soccer fans. This year also marks the arrival of the Sony Playstation and the final rupture of the consumers with the 16 bit consoles. 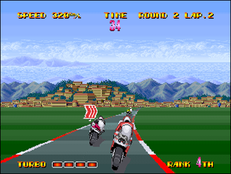 At this time, the CD-Rom and 3-D graphics became the new benchmark for gaming systems. Five years have passed since the birth of SNK's machine, it's a generation of hardware. Technical superiority that was the strength of the Neo Geo is now a distant memory. New machines, technically superior and more offering more affordable prices as well as innovative gameplay in three dimensions, now capture the attention of players. 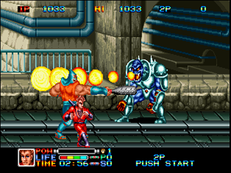 The general craze for this new generation of games will gradually kill the arcade market. 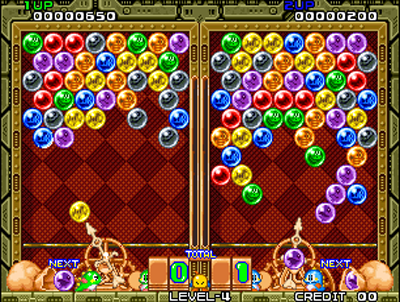 SNK prodigy's now a golden nugget for old school gameplay lovers and 2-D asthetes. 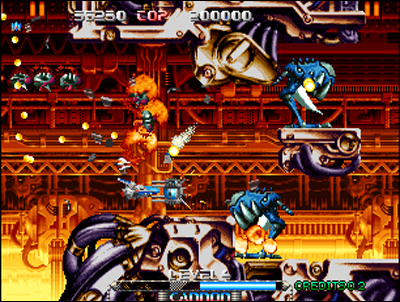 And besides, the Neo Geo was still not equaled by home systems on its stomping ground, the 2-D arcade games: the adaptations of its successful series on Playstation and Saturn did not fail to disappoint, as these 32 bits machines weren't packing the capabilities of the 16-bit. 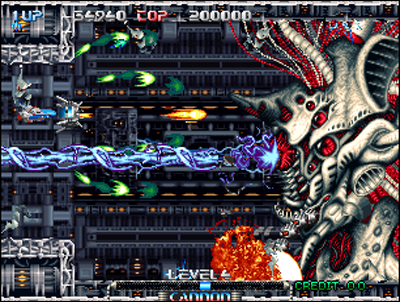 It appears that the Neo Geo, totally obsolete when it comes to "3D", remains difficult to match when we're talking pure 2-D.
Pulstar remains one emblematic shooter on the system.